The American Legion Auxiliary Department of Maryland is sponsoring a Paint Night fundraiser to benefit the Maryland Veteran’s Creative Art Festival. 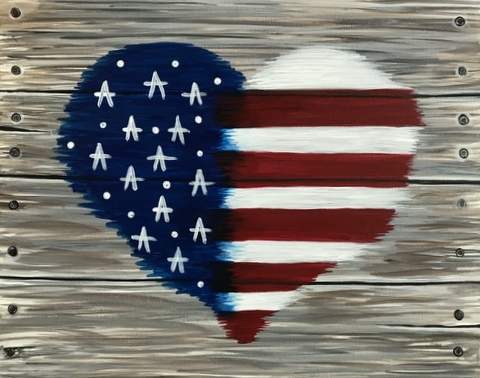 Show your American pride by painting this flag heart on canvas. Ticket price includes all supplies to create your very own “Masterpiece”. Food and drinks will be available for purchase. Food sales will benefit the Junior Special Project (Seven Stars Foundation). The painting will begin at 2:00 pm.